DuAll Heating & Cooling provides reliable and affordable heating and air conditioning services to the communities of Bolingbrook, Naperville, Plainfield, and Romeoville. Recognized as one of the Bolingbrook area’s top businesses, we’ve established our reputation for excellence by respecting our customer’s needs and making sure that every job we do is performed with the highest degree of professionalism and quality. Our service team is fully trained and certified to work on all residential heating, ventilation, air conditioning, and indoor air quality systems. We also offer a full range of HVAC appliances including furnaces, air conditioners, humidifiers, air cleaners, exchangers, water heaters, sump pumps, and back–up generators. Heating – We install, repair, and service all makes and models. 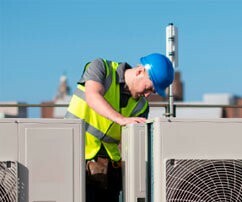 Air Conditioning – Installation and repairs on all air conditioners, including ductless mini split systems and heat pumps. Indoor Air Quality – Everything from air cleaners to dehumidifiers to UV germicidal lights. Water Heaters – Traditional storage tank heaters and new tankless models. Light Commercial – Maintenance and repair of light commercial and rooftop units. Our staff continuously updates their knowledge of new HVAC products and services. If you’re considering remodeling your home or updating part of your HVAC system, DuAll Heating & Cooling offers free estimates on replacement equipment. We pride ourselves on customer–friendly service and will always take the time to answer your questions in language you can understand. 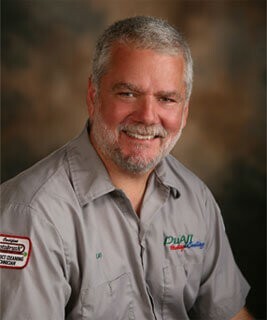 Call DuAll Heating & Cooling for all your home heating, cooling, and indoor air quality needs. Put our experience to work for you. Larry Greenwich of DuAll Heating & Cooling Recepient of the 2016 Bolingbrook Lifetime Achievement Award. There are plenty of different heating systems here in Bolingbrook, including forced-air furnaces and boiler systems. 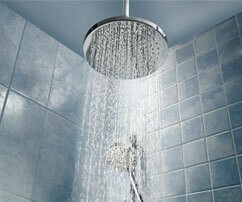 We perform installations and repairs on all major heating systems. Summers can be quite daunting in our area, with high temperatures and humidity. We install and repair centralized air conditioners and ductless air conditioners to help you fight the heat. Indoor air quality products address home comfort problems that don’t include controlling the temperature. That includes humidifiers, dehumidifiers, air cleaners, and UV germicidal lights. We handle them all! Dryer vents ventilate hot air from your dryer, and are installed to keep your home safe. 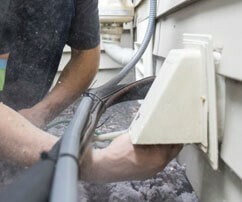 When the vent becomes clogged with lint and other debris, you need a reliable service. Call us today. Water heaters usually do their jobs without a fuss, which means that problems can often arise unexpectedly. Maintenance from our technicians can stop that, as can timely repair. We also install new water heaters. Commercial HVAC systems have a greater workload than most residential systems, and problems with them must be repaired quickly. We offer installation, maintenance, and repair services for commercial HVAC equipment! Winter will be over before you know it, so it is important to start thinking about the ways to enjoy a more comfortable summer, and scheduling your AC services before temperatures skyrocket is the best way to do just that. You should definitely not ignore any signs of an issue with your furnace.